The dress uniform was the only uniform to feature both sleeve stripes and rank tabs. The Class A uniforms used sleeve stripes only to identify rank. It was thus impossible to distinguish between enlisted grades as enlisted personnel wore their insignia on shoulder tabs only. A good example for this impracticality is Chief DiFalco. 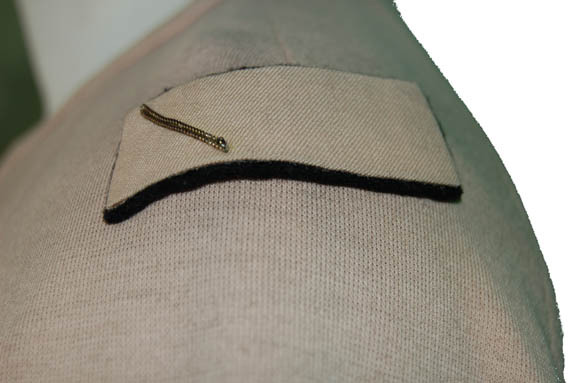 Shoulder tabs were used on the Class B uniforms, Epsilon IX tunics, leisure uniforms, jumpsuits, engineering and protective suits, and medical uniforms. The field jackets featured a divisional stripe around the left upper arm with rank identifiers set on top. Information about the Fleet Admiral, Admiral, Vice Admiral, and Commodore rank stripes comes from a uniform guide, reproduced in the 1981 Marvel comic "Spock - The Barbarian!". 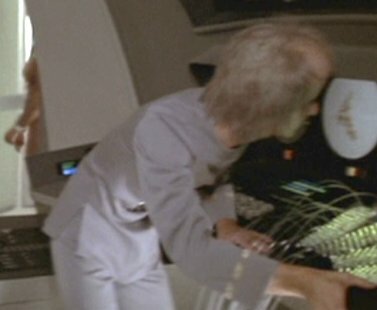 According to a memo written by associate producer Jon Povill to costume designer Robert Fletcher on August 3, 1978 (reproduced in Susan Sackett's "The Making of Star Trek: The Motion Picture") the rank of Lieutenant JG did not exist during the 2270s (see: Uniform Errors). This information has been backed up by the movie itself when an Alien officer with one broken sleeve stripe was referred to as "ensign". The shoulder tabs for Fleet Admiral, Admiral, and Vice Admiral are speculations on my part based on Rear Admiral Kirk's tabs. The Commodore tab was also featured in the aforementioned comic. 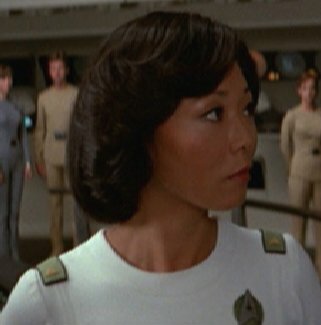 The triangular insignia was worn by some TMP extras, but its meaning was never established. The connection with the rate of Petty Officer is thus purely conjectural. 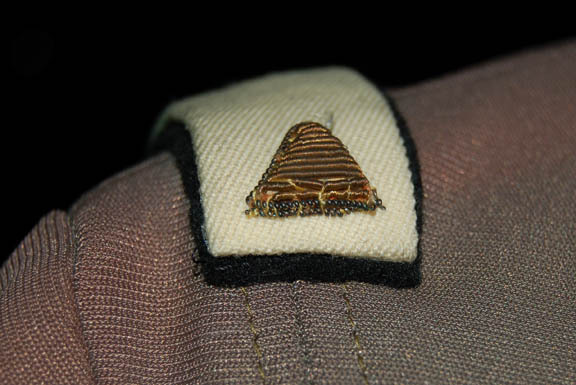 The narrow solid stripe insignia was also worn by a couple of TMP extras. It is too narrow for lieutenant and judging by Capt. 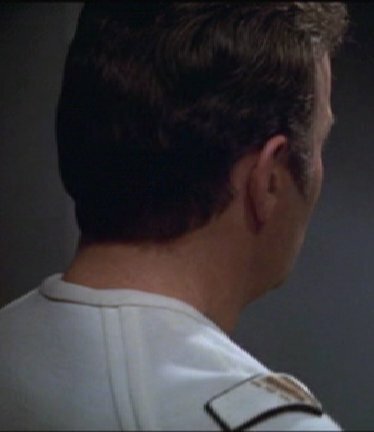 Kirk's rank tabs, an ensign should wear a narrow broken stripe. The connection with Crewman 2/C is speculation on my part and the Crewman 1/C insignia was created by me to add more complexity to the rank scheme. ~ Images from It's a Wrap's Star Trek auction.